Gudrun Dahl, professor vid Socialantropologiska institutionen, berättar i senaste avsnittet av AnthroTalking om sin forskning om bland annat boskapsskötande pastoralister i nordöstra Afrika och nyckelbegrepp inom utvecklingsdiskursen. Här kan du lyssna på hela intervjun med Gudrun Dahl. In this episode of AnthroTalking we interview Gudrun Dahl, professor at the Department of Social Anthropology, Stockholm University. 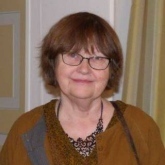 After having done anthropological research for several decades, Gudrun elaborates in this podcast episode on some of the structural changes that have occurred at the anthropology department from the 1960s on, and how her field of research has evolved from studying pastoralism in North-East Africa to development discourses, including notions of agency and victimization.